Here is my latest tip sheet for "Hip to Be Square", perfect for your square cards! Layer it onto a 4" or 4.25" card for fast and fresh layouts. This set is a wonderful companion to "Inspiration Mosaic", mix and match! (I almost didn't have the energy to complete this tip sheet, there is just NO way to completely cover all the combinations and ways you can use it!) I've added the pic of the set here at the top for you to scroll up and refer to as needed as you read these tips. The extra 30 images and greetings included allow you to create cards and pages for birthday and gift giving holidays, seasonal winter and fall, Halloween, 4th of July, encouragement, baby, thank you and all occasion! That covers pretty much everything! 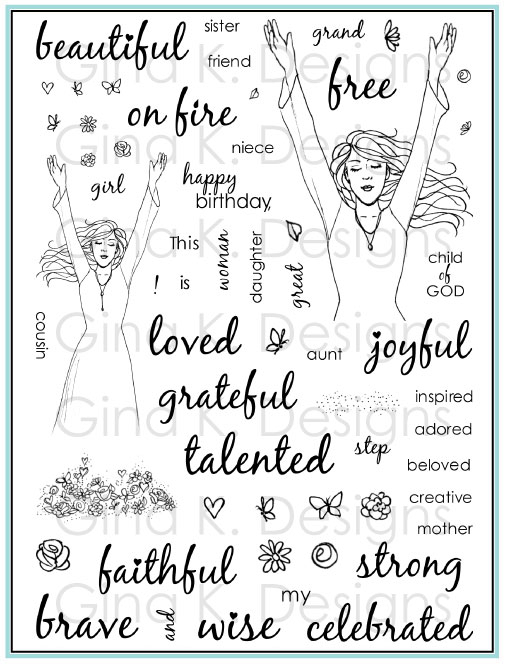 :) Use these separately from the frame to create tags and focal points to use with any of your other sets. This frames up beautifully with or without the need for extra mat onto 4.25" square card, but you can put it on a 5 or 6 inch square card, too, for more drama if you don't mind using a larger envelope! You can also layer this onto your A2 sized cards, adhering it to the top with a ribbon, border or greeting along the bottom, in the middle with something above and below, or at the bottom with accents along the top! You can turn your A2 card sideways and have the frame on the left right or middle with borders or ribbons on either end to balance the layout. The frame turns any piece of DP into four little mini canvasses! You will be amazed at how the boxes focus your attention to beauty and uniqueness of each part of the print. Use it as a mini gallery for your "inchie art", one in each box, or create a mini album with the square frame on each page! Stamp the frame over a family photo, beautiful for a Christmas card, like you're peeking in on the family! Frame up different photos into the squares for a photo collage. Using black and white will give it an extra artsy look! Make a coaster book, accordion or mini 6 album this way. Try paper piecing different patterns into the squares or cut out or color solids into each for very modern, fresh color blocking. 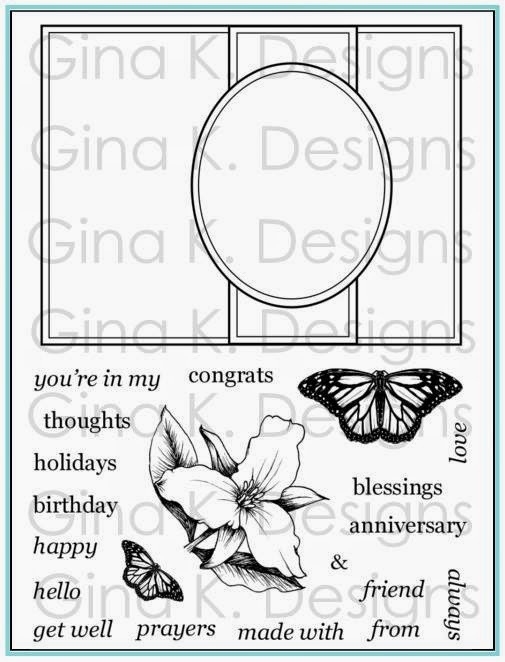 Stamp or emboss the square onto white cardstock for easy clean and simple or one layer cards. 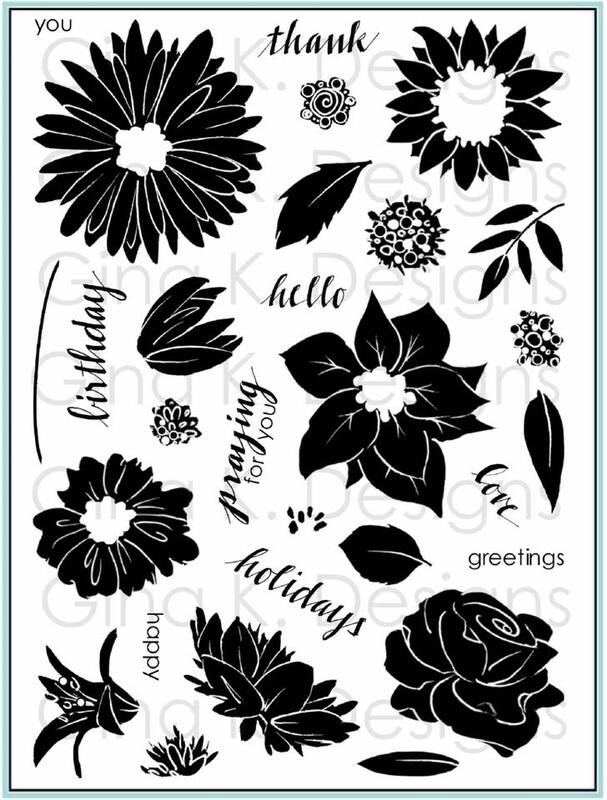 Use black on white with just bold or black line art images for a really striking, no coloring look! Try stamping the frame onto a colored cardstock, your layered images over it (think red background with white snowmen) will really pop! 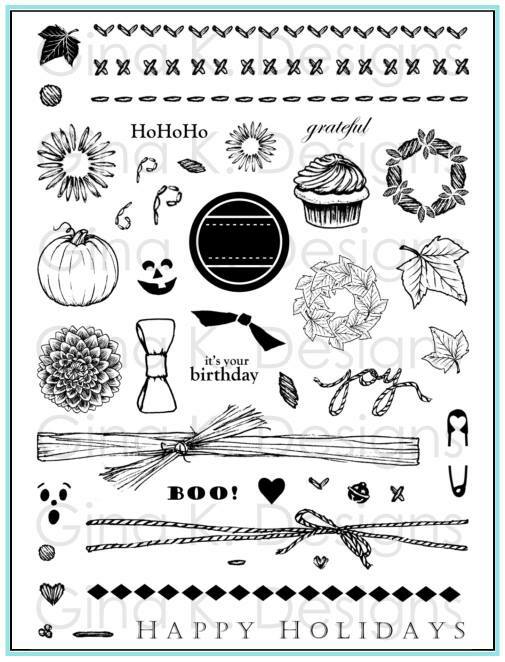 Stamping the frame in white on black cardstock would be perfect for some orange pumpkins and a nighttime scene. Pop up an image (from the set or one of your own), punch or sentiment over the "cross hairs" in the middle to really bring attention to it! 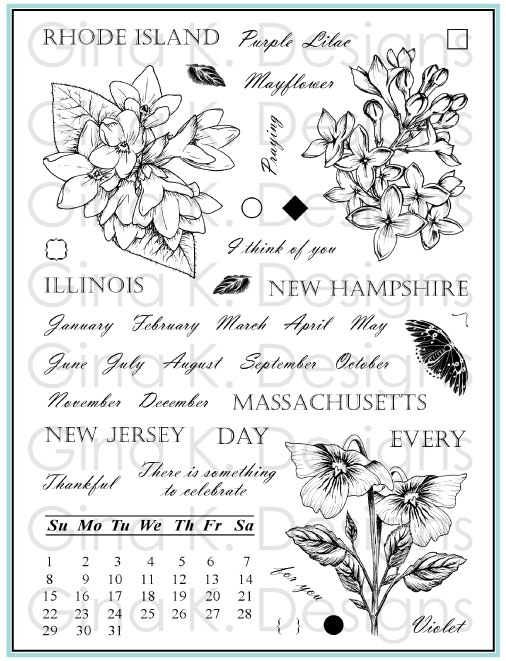 These squares are perfect to frame a collection of embellishments, images, punches, etc! Put something in all four, or fill three and then add a greeting to the bottom right box (you can of course put it in one off the other boxes, but your eye tends to"reads" the boxes left to right, top to bottom.) Expand on a theme by framing a different image into each box! Create a very symmetrical clean look by keeping your images centered in the frames or tilt them at different angles to give the card more energy and whimsy! You will LOVE this as a WINDOW, perfect panes to stamp a little scene. Your recipient can view a nature scene from inside, or be on the outside looking in to see what would be inside a house, furniture, people, pets, a Christmas tree etc. Change up the colors in your background with sponging to take the window from sunrise, sunset, to night, will add a lot of atmosphere! Have fun making your own curtains for either side or a shade or blinds (try a crimper) for the top to complete the window scene using your favorite DP. The double border on this is like having an extra mat, leave it the way it is or color it in to bring more color and extra depth to your layout. Enjoy the four little "eyelet" images: circle , square, star and flower. Perfect for when you need just a little something to decorate a spot or corner. Now you have shaped eyelets for any color you have ink! Emboss the eyelet images with colored or metallic powders and punch a hold in the middle with your Cropodile or Big Bite (hole has been sized to fit, and you probably won't be able to tell the difference between these these and the real thing! Love it!! Try outlining the stamped images with Clear Sakura glaze pen for shine and dimension if you don't have the embossing powder you need. 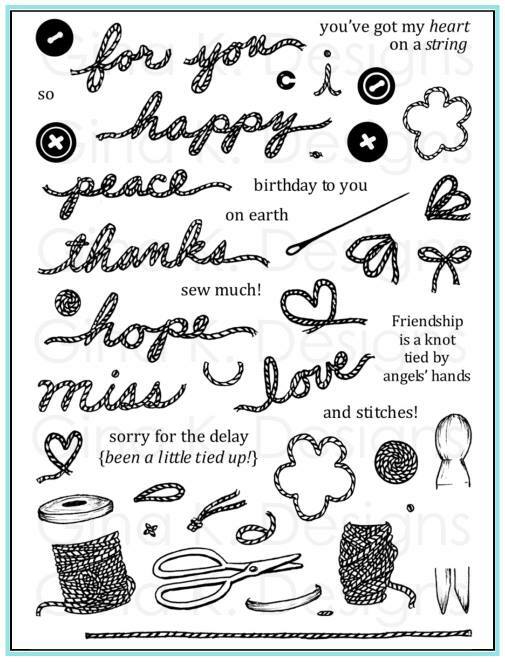 Omit the "o" in You in the thank you greeting or "Boo" and add the eyelet images. Google eyes over "o"s are super fun and spooky! (Don't forget to use the google eyes to add a touch of whimsy to all the faces in this set, too! The greetings are in a classic, sanserif font that will coordinate with almost all the stamp style you have in your collection. The squares and circles will frame up ALL the sentiments in the set. Layer these on top of more mats or scalloped punches. 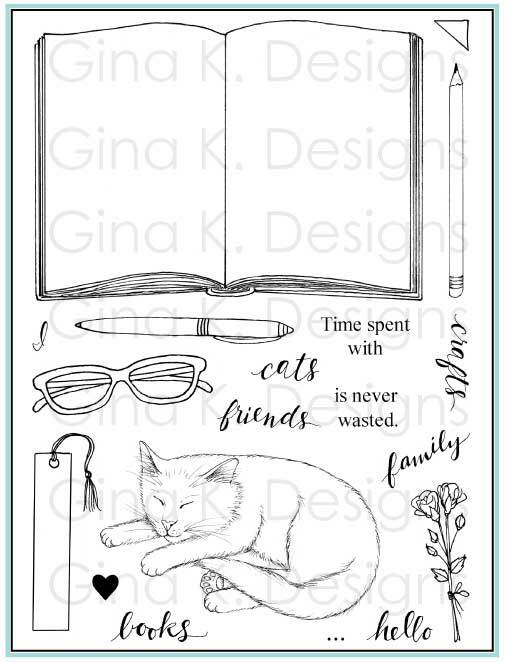 A solid and outline of each shape has been provided to two step stamp so you have color and outline, use the bold image for rock and roll technique, or color in your outline or stamp on colored paper. stamp the outline on to DP and punch them out. Lots of options! You can layer the stars and circle images over the square image. kids: cover the bald top of the head with part of a punched circle to make a little cap or knit hat. To make stamped presents: try stamping the square outline onto DP for gift wrap, it is a perfect fit for 1 1/4" square punch, or stamp the bold square in a light color over DP to allow the pattern to show through. Make a little stack (or heap!) of them for a whimsical birthday or holiday card! The little ornament topper can be used not only with the circles but the the stars and squares as well. 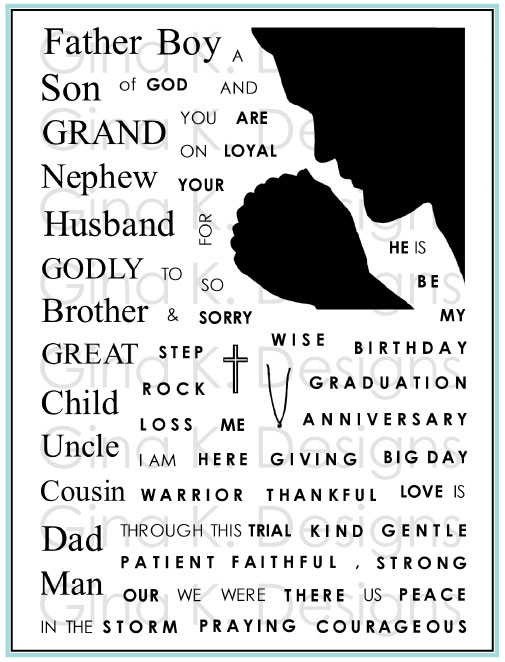 All these images and greetings together make the perfect gift tags! Layer them onto a small folded card to attach to a present or stamp on one of the eyelets and punch a hole to tie it on to your bag or box with a little hemp or twine. 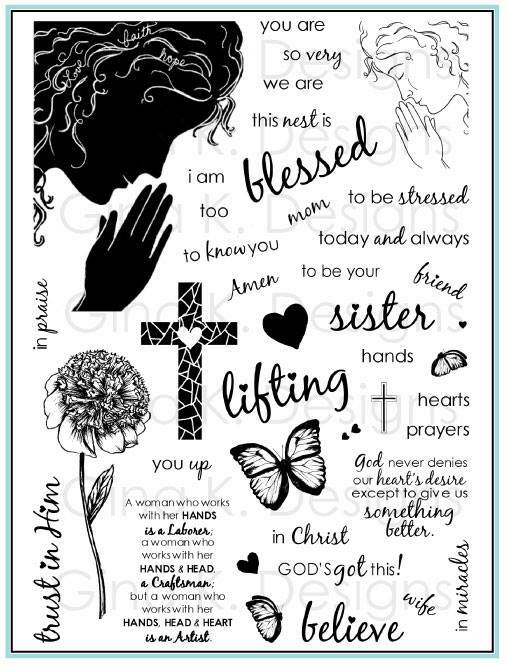 Stamp the image on one side and the sentiment on the back to make it double sided. The round images are terrific for decorating peppermint patties, peanut butter cups, lollipops etc. Cute and easy treats! Add the punched images or stamp them onto the outside of a votive holder, or onto vellum to make a large hurricane. Stamp them onto wax paper and heat set them onto a votive candle. Add a real ribbon to the top of the baby's head for a little girl card. Layer the circle face over a scalloped circle punch to create a cute baby bonnet! Layer it over a large scalloped oval punch or die cut and you have a little bib below! 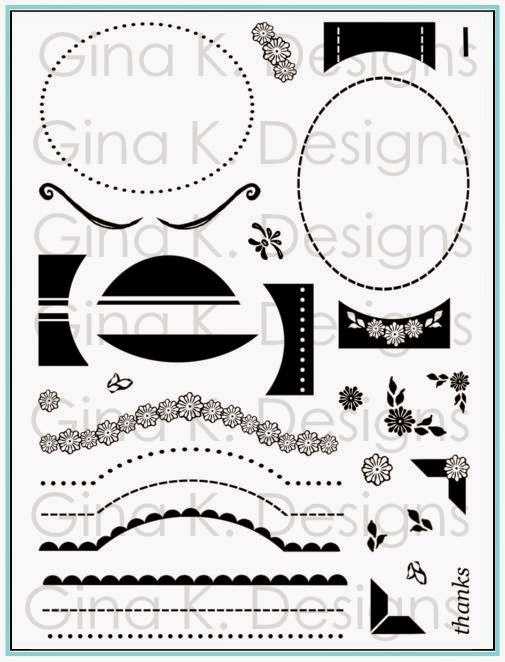 I know how much you love those little trims stamps from "Inspiration Mosaic", this set has FIVE new ones to use, mix and match these trims and faux stitches with both sets! Create tine borders for the bottoms or the sides of the boxes, stamp them in a row to make a long border for the edge of your card, or stamp them in several rows stacked to create your own patterned paper! 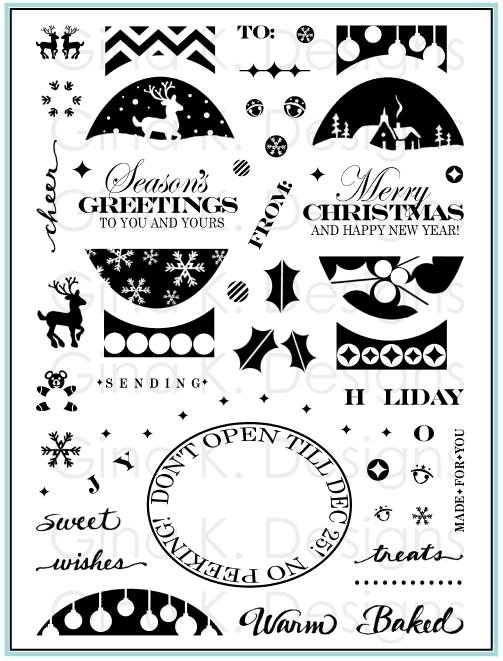 Use the trims across the squares to make "patterned wrap", across the circle to make patterned sections for your ball ornament, stamp them vertically from the tops of the panes to create a "string" to hang the ornaments from, etc. Stamp the trims onto paper and cut out to create a decorative hat band for the tops hat or scarf for the swnowman. Use the eyelet images to create buttons for the snowman body or to dress up the hat. Stamp the stitched lines (straight, zg zag and cross stitch included) over the borders to get a patchwork quilt look. Emboss them for the feel of real stitches. Layer over a scalloped square mat to make a baby quilt. Turn the square for a diamond and stamp into the frame into the boxes or over the lines to intersect to create diamond and triangle panes. Add ribbon scarves just below the stamped circles for your kids or snowmen. Add a little bow or loop of metallic cord from the ornament hanger. Layer the stamped frame onto a square box lid to decorate, store bought or one you made. 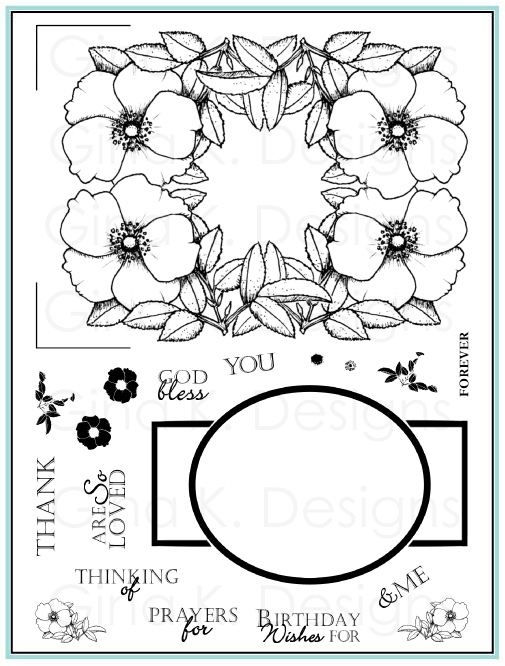 Enjoy using the solid and outline stamps just as they are with no sentiments or other images inside, they will make terrific geometric borders and backgrounds! You are tremendously talented and sharing is right up there at the top of your talents. Thank you so much for the wonderful ideas!